ABSS offers two options to ensure that your solution remains up to date and compliant with local regulations. ABSS Business Support ensures that you have the latest and up-to-date version of your product, with the assurance of priority technical support. Access ABSS’s technical support personnel via phone, fax & email anytime between 9.00 am to 5.30 pm, Mondays to Fridays, excluding public holidays. If you purchase through us, you also have the option of getting support from Deltatech through phone and email 9:00 am to 6:00 pm, Mondays to Fridays, excluding public holidays. 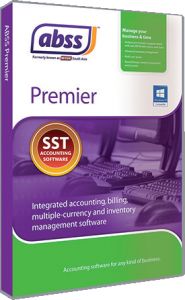 ABSS Product Upgrade Cover is an annual subscription that entitles you to any and all new versions of your software that are released during your subscription period. Upgrade Cover DOES NOT include technical support, only product upgrades. If you require support, this is offered by Deltatech on an ad-hoc basis, i.e. as and when you require it. Fee would depend on the complexity of the support requirement and whether a site visit is warranted or the issue can be resolved remotely. If you require ABSS services, such as to repair your data file, these are chargeable. The main difference between the 2 plans is that one includes support, and the other does not. Upgrading your ABSS product ensures that it remains up-to-date and, more importantly, compliant with the latest statutory requirements. The Sales Tax and Service Tax 2018, which came into effect in September 2018, replaces GST. Customs have been fine tuning the process, and consequently, there will be changes to the way it is collected, reported and paid. 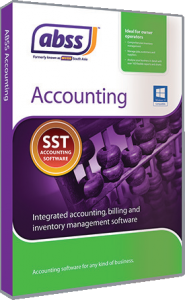 Your software would therefore need to be upgraded in the way payroll is computed, or SST is recorded and reported.